It sounds like an oxymoron, but there is some truth in that saying. Let me explain and see if you agree with my sentiment, or just feel that it is an excuse for slacking off. I have the serious affliction of needing to restore old cars to keep my hind end out of the age-accelerating lounge chair. I have a lot of buddies that also restore cars. My cars always seem to get done before theirs, so am I faster in the way that I do it? Not necessarily; I work slower but get done faster. Strange but true! Restoration mechanics is not at all like common automotive repair work. You are working with old degraded parts and always encounter dirt and corrosion. On top of that, you encounter assemblies that were designed eons ago with little to no information on how they can be repaired, and for which repair parts are difficult or next to impossible to find. One of the very critical aspects of old car restoration is the disassembly of the car. 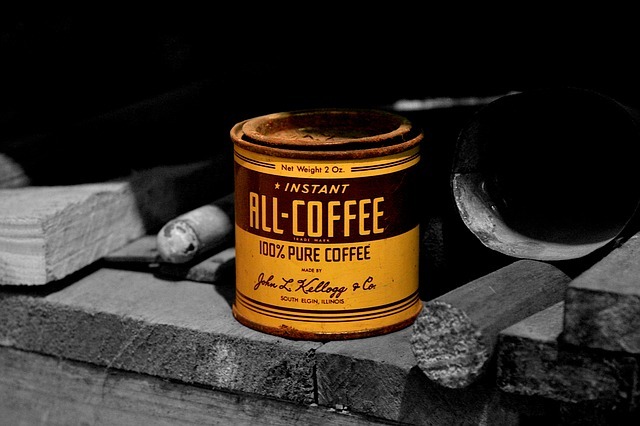 A beginner will remove parts, set them aside and toss the fasteners into a coffee can to be retrieved later when it comes time to put the car back together. He is confident that he can remember how the parts were assembled on the car and does not want to slow down to take pictures or make notes. Besides, he is going to have all the nuts and bolts zinc plated, so they will all get mixed up anyway. He has fallen prey to the Coffee Can Syndrome (CCS). When it comes time to put the assemblies back on the car, he has long since forgotten the details of how it was done at the factory. Does the brake line go in front of or to the rear of the cross member? It doesn’t seem to fit either way! This bracket may require a shoulder bolt, but I don’t know where it is, and I really can’t remember what it looks like. I’ll call my pal Bernie; he probably knows. 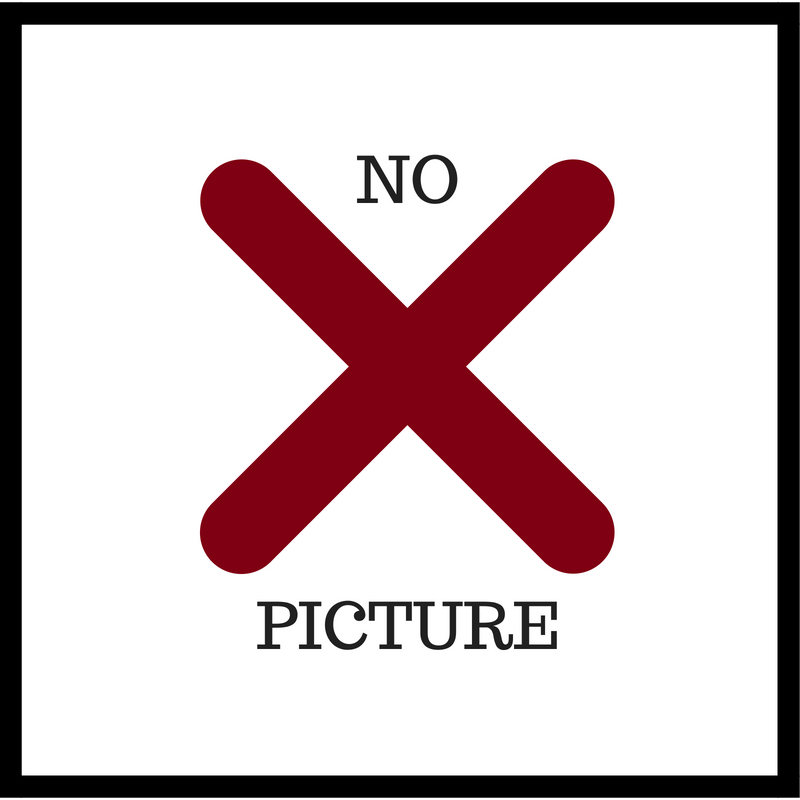 He has now fallen victim to the No Pictures Syndrome (NPS). When all is said and done, he will end up spending many hours and much frustration trying to get the car back to its original state. In the worst case scenario, that frustration will lead to improvisation, which often results in unreliability. The dismal conclusion is that often he will lose interest in the restoration, give up on it and sell the car for a fraction of its restored worth. You just finished sand blasting the backing plates for the drum brakes, sprayed them with primer and let it dry for 10 minutes. Then you sprayed on the semi-gloss black enamel, which makes it look like a new part. You need the help of your buddy to get it installed on the spindles, but he is due to meet with his soon-to-be ex-wife’s lawyer in a little over an hour, after which he leaves on a business trip. (Your buddy wants to make a deal where the ex-wife gets the minivan, while he keeps the hotrod.) If the brakes are to get done, you need to act NOW! The backing plate has been drying in the sun for 30 minutes and while the paint has not cured. you can carefully handle it. In order not to lose the opportunity to make vital progress on the restoration, you decide to install it as a “gooey part.” (No one will see the imprinted finger prints on the plate anyway). Such is the nature of the Gooey Part Syndrome (GPS). It is another argument for going slow to achieve a better quality job and to prevent having to clean your fingers with lacquer thinner. I used to be reasonably strong and agile and could handle most restoration tasks by myself. However, old age and its accompanying limitations have taken a lot of that vitality away to the point where it is now essential that I use help to accomplish many of the tasks associated with restoration. I know what to do, but sometimes I just really cannot do it alone. That is where the helpful buddy comes into the picture. There are two types of buddies: Those that make the mistake of wandering into my shop for some casual conversation and a cold beer and those that I pay an incentive wage to work with me. I love the cold beer buddies, but they have fallen into the trap of the Hold This Syndrome (HTS). They cannot get off the hook without first helping me with some task at hand. I am an unrepentant “muscle moocher” whenever I need to get something special done. The professional helper does not need training and can contribute to my knowledge. It is a situation much like an operating room where I am the surgical nurse and the professional helper is the doctor. I get the tools that the helper needs, and he uses them to get the job done. However, there is often a time when you try to get things done quickly, so you pitch in and help. You short circuit the time it takes to get a proper tool. 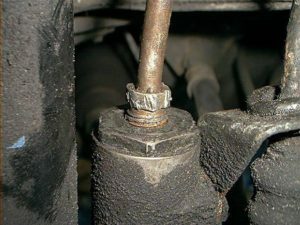 Rather than use a proper fitted wrench to loosen a stubborn flare nut on a brake line, you select a common open end wrench. 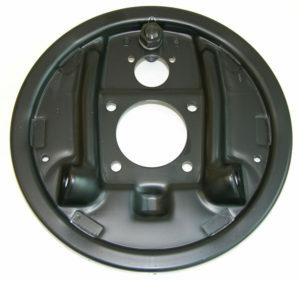 The result is a rounded off wrench surface, which make the flare nut unusable. You have to cut the line and make a new flare, which requires you to call a buddy and borrow his double flare tool since yours only does single flares. You stop at ACE Hardware on the way back to buy a new flare nut, but the size that you need happens to be out of stock. In your haste to speed up the job and stay up with your buddy, you have now fallen into the time wasting and frustrating Improper Tool Syndrome (ITS). A job that should take minutes now takes hours. Now comes one of the worst syndromes of all: The Mismatched Paint Syndrome (MPS). It is Sunday morning – there is no wind and the temperature is just right to lay down the final paint. You spent all day Saturday prepping the body of the car for paint; however, you ran out of the recommended primer. You just need some primer to do the fenders and finish the hood, but the paint store is closed. In the closet, you find the primer that you used for the last enamel job and figure that it should work just fine for the new two stage paint that you paid $650 for and using it will save a whole lot of time. You lay down the base coat, cover it with the high dollar clear coat (for which you paid such a dear price), and now the job is done, and you saved a whole week! 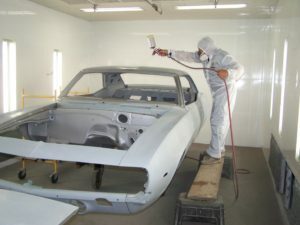 Monday morning at first light, you go out to check on your beautiful paint job and find to your horror that the hood and fenders are crazed because the primer reacted with the base coat. The only thing you can do in this situation? Sand it off and start all over. You lose a month of time not to mention a ton of money. To get to the VA Hospital to have my ills examined, I must drive in heavy urban traffic and contend with 31 traffic lights on a not-very-long trip. Now the big butter and eggs man in the BMW has to travel the same route, and he does not want to be late for his business appointment, so he pushes that Beemer as hard as he can. He tailgates, changes lanes often, and uses his brakes a lot. He is under the spell of the TailGate Syndrome (TGS). I just keep my mind on the flow of traffic around me and look way down the road to see what is happening up ahead. 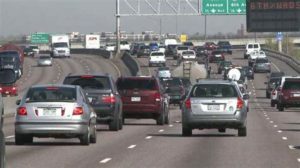 By going slower, I can safely plan ahead and select lanes where delay time is minimized. The Beemer guy cannot do that because he is too intent on going fast and must concentrate on what is immediately in front and around him. By going slow but planning ahead, I will usually end up passing him with little stress on myself or the car. It took me a long time to learn this skill. So now you see the alphabet soup of syndromes that lead to lost time and potential failure to accomplish your objective, all of which can be avoided by going slow. There is one aspect of accomplishment that remains a mystery to me. How do successful writers create their works? Is blitz effort with sustained concentration the optimum method, or can you go slow and steady? I would be interested to know what habits Tom Clancy and Clive Cussler possess that made them so successful. They are two very successful authors whose style I like to emulate. 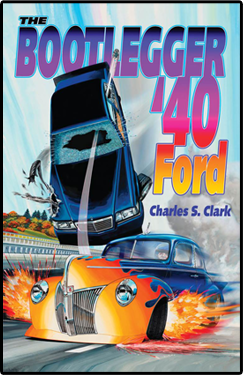 Clancy included immaculate technical detail in his stories, and Cussler folds his love and knowledge of old cars into his plots. I may not have an option as I approach the active phase of my new book, The Gun Runner. The “Go Slow” method may be my only viable option. This does, however, require a “kick start” phase to avoid the Lazy Writer Syndrome (LWS). Stay tuned!